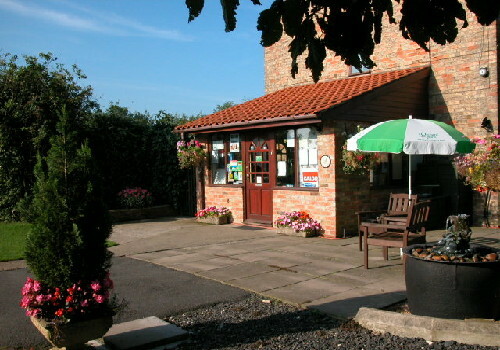 Situated in a quiet unspoilt location, on the outskirts of the old market town of Tuxford, Orchard Park is just one and a half miles away from the main A1 trunk road, making it an excellent overnight stop, or base for visiting the many attractions around Sherwood Forest. 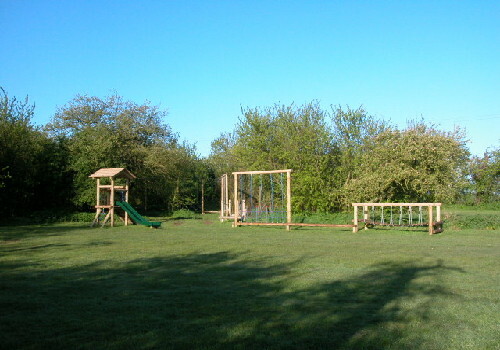 Orchard Park is a mature fruit orchard set in the quiet Nottinghamshire countryside. 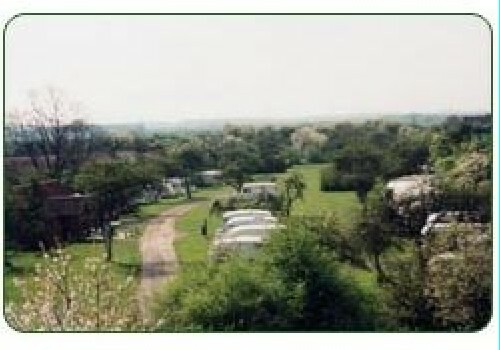 A lovely setting for a Caravan and Camping site, it has been carefully planned to retain the orchard as it has been for many years. 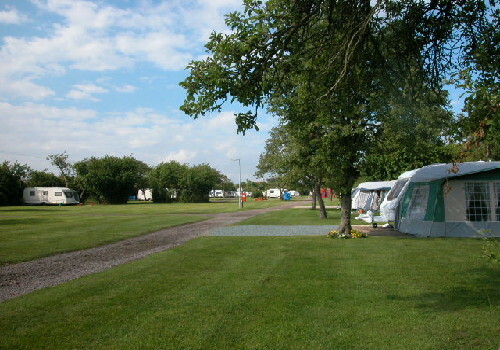 The caravan pitches have been laid out to give our visitors as much natural privacy as possible. A quiet area at the top the orchard has been left to grow naturally for some years now, with careful management, it is a pleasant nature walk, with wild flowers, birds and butterflies. 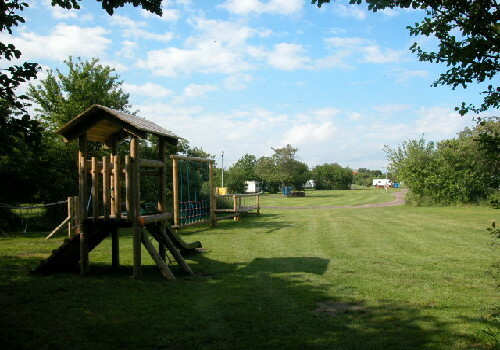 For the children there is lots of room around the site to run and play as well as a log play trail style palyground. Newark -(13 miles) A maze of narrow old-fashioned streets, the towering spire of one of Englands largest parish churches, and a cobbled square lined with Georgian buildings are amongst the sights of Newark. The town was a Royalist stronghold during the English civil war, and the ruined castle by the river still bears the scars of battles past. Newarks speciality is antiques. There are numerous dealers in town and the famous Newark International Antiques Fair is held at the nearby showground six times a year. Nottingham -(28 miles) Think of Nottingham and chances are, you will think of Robin Hood - the worlds most famous outlaw. But, there is much more to Nottingham than Robin Hood! Often described as one of the countrys best kept secrets, Nottingham is proud of its historical heritage but it is also fast developing a reputation as an exciting, vibrant, go-ahead European city of style. We are sure you wont be disappointed and we hope you will be encouraged to visit and receive the warmest of welcomes here in Nottingham. Also visit The Workhouse a superb National Trust refurbishment of the original workhouse. From A1 heading south: exit at Tuxford, swing round to the left to T junction. Turn Right, signed Lincoln (A 57). Proceed east to edge of village, just before the end of the 30 limit turn right, signed Marnham. From A1 heading north: exit at Tuxford signed A6075 Ollerton/Lincoln. Enter 30 limit and reach t junct. in village centre.Turn Right, signed Lincoln A6075/ (A57). then to east edge of village as above. From A 6075 , from the west (Mansfield/Ollerton), proceed to T junc at Tuxford. Turn Right, signed Lincoln (A57) A6075, follow round bend in village centre and proceed east as above.